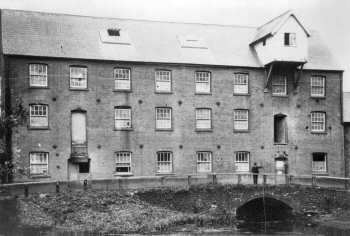 Although Lenwade mill is on an ancient site the present building is relatively new. 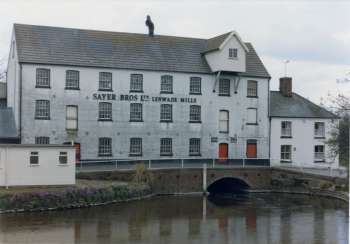 The previous weatherboarded mill burnt down in 1888 and J. James Sayer replaced it with the current brick building and a slate roof in 1890. 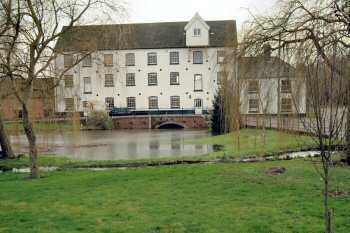 The mill cost £900 to build and the mill house a further £250. It was probably in the 1950s that the walls were rendered white to the style so familiar to all that know the area. The boarding of the lucums was unusual in that it was set vertically. 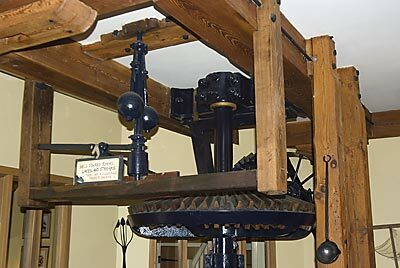 The mill machinery cost a further £1,520 and consisted of a 44" Vickers turbine, wheat cleaning machinery and a roller plant capable of producing two 280lb sacks of flour per hour. During the three years covered by my The Diary of James Woodford Vol. 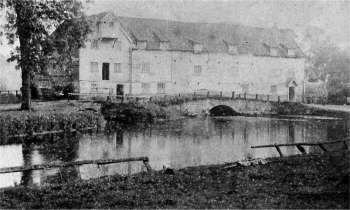 10 1782-1784, Parson James Woodforde deals with various mills and millers, selling barley to John Clover of Marlingford_Mill and wheat to Daniel Bloom at Trowse_Mill but most of his dealings are with his nearest mill at Lenwade. 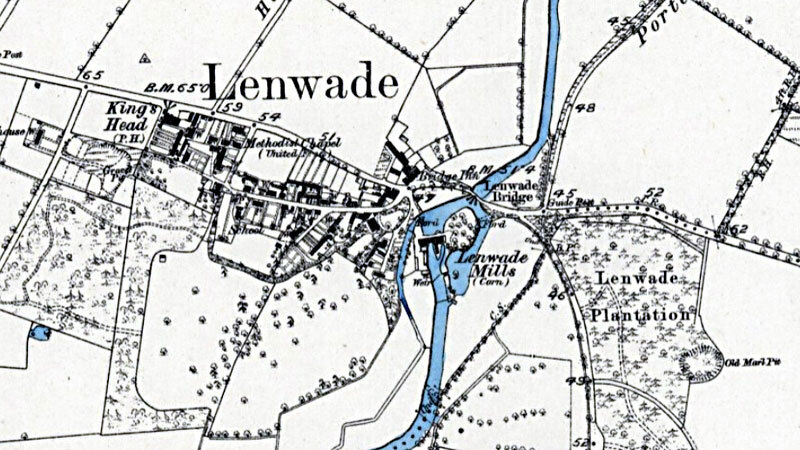 Woodforde's earliest encounter with Peter Forster as the miller at Lenwade was on 29 June 1784. Prior to that date, the miller there was Robert Beeston. Woodforde sells him wheat and buys flour from him. Beeston married the recently widowed Martha Kerr on 24 April 1783 and two months later on 26 June he held an auction at Lenwade Bridge Inn. Woodforde paid a last bill to him on 13 December 1783. It rather looks as if Robert Beeston left Lenwade as a result of his marriage. Peter Forster had a partner at Lenwade whose name was Wade but I have not been able to identify him. He is possibly connected with or to be identified with, William Wade, a miller at Holt. The Forster family would often buy contraband from smugglers on their way inland from the North Norfok coast. The family used to store smuggled tea in a copper coalscuttle that had been passed down through several generations. 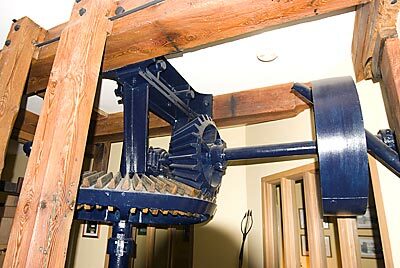 The flour machinery was taken out in about 1948, although the turbine and diesel engine remained. At this time the main motive power was switched to electricity to drive the new animal feed production line. The wheat, barley and oats came from British farms while the protein ingredients such as soya, sunflower, groundnut and fish meals mostly came from abroad. During the 1950s a new iron cog wheel was cast and machined in Norwich before being fitted to take the turbine drive. During the next 25 years several additional building were added as production increased. 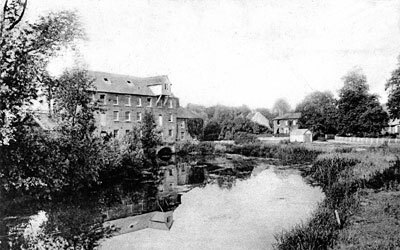 James Sayer's decision to take over and rebuild Lenwade mill was greatly influenced by the healthy profits produced by his son Robert who was running the nearby Elsing mill and returning a surplus of £500 per annum. 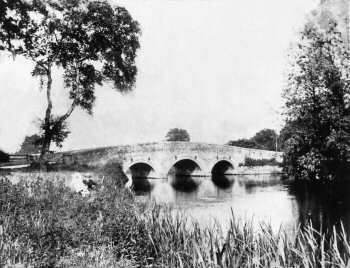 A new road bridge over the Wensum carrying the A1067 was built in about 1927 on the mill side of the earlier smaller bridge, which was demolished some years later. 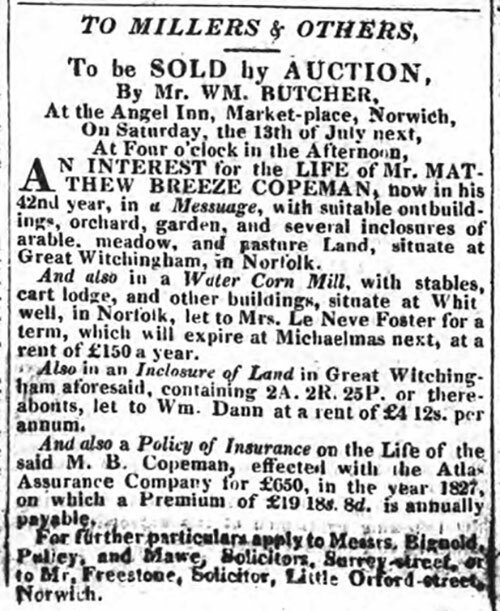 Peter Forster was miller in the last half of the 18th century and occasionally bought corn from Parson Woodforde (who had also been known to purchase kegs of contraband spirit). 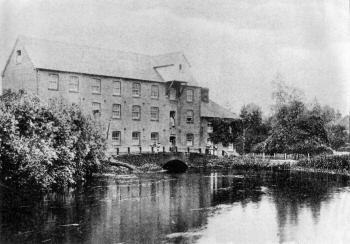 However most of Parson Woodforde's grain ended up at Trowse mill, while most of his flour purchased for domestic use, came from Lenwade mill. Peter Forster was generally on good terms with James Woodforde and would send him gifts of eels, Yarmouth herrings, Colchester oysters, etc. The general pattern that emerges seems to be that Woodforde sold his Wheat, Barley, Vetches, Peas etc. to Daniel Bloome at Trowse but had his own flour - i.e. for his own domestic consumption - produced at Lenwade. 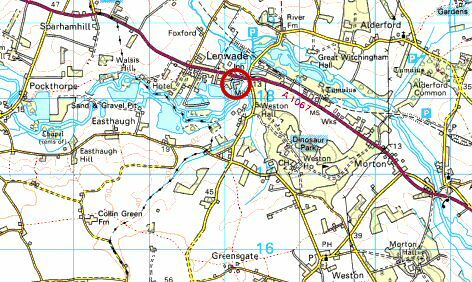 To Mr Foster, Miller, on Lenewade Bridge - pd. 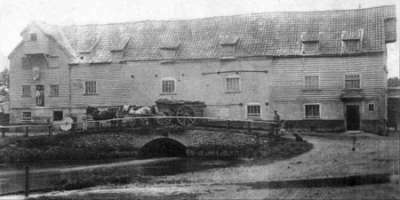 0 : 8 : 6 Sold to Mr Foster 8 Coombs and 2 Bushel of Wheat this Morning at £1 : 2s : 0d per Coomb, and sent it home to Lenewade Bridge in my Cart this Morning - N.B. He owes me for it - 8 : 16 : 0 He never said any thing about paying for it, neither when here or when my Man Ben carried it there. 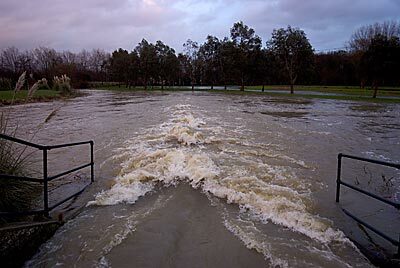 Mr Foster of Lenewade Bridge sent a servant this Afternoon to enquire after me, very kind. Woodforde was in the throes of a terminal illness - the last diary entry was made on 17th Oct 1802 and he died on New Years Day, 1803. 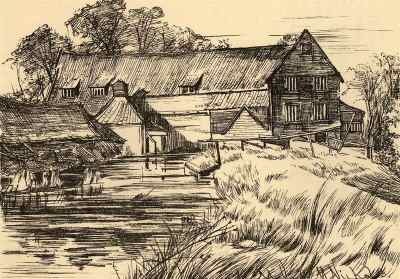 Such persons as stand indebted to the Estate & Effects of Dennis Wright of Saxlingham in the county of Norfolk, Miller to pay the same to Mr. Wright, Caldecote, Mr. Beverley, of Tibenham, Mr. Forster at Lenwade Mills in Norfolk, at the Mills at Saxlingham or to Messrs. Foster, Son & Unthank, Norwich otherwise they will be sued. In 1969 Sayer Bros. became part of J. Bibby Agriculture Ltd. of Liverpool. 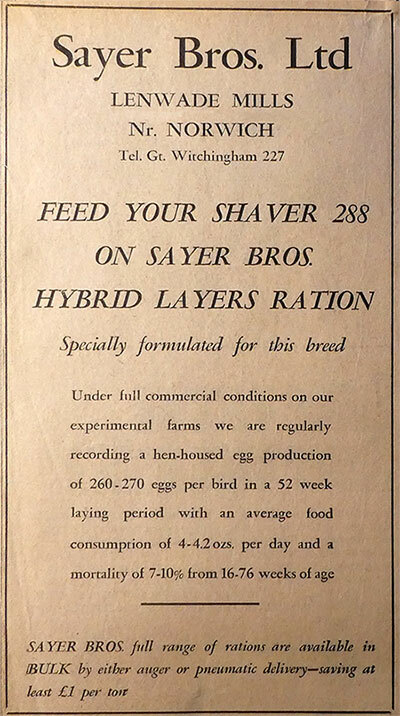 However Sayer Bros. continued to manufacture pig and poultry feed for which they had become famed, having pioneered the bulk feed delivery system in this country. 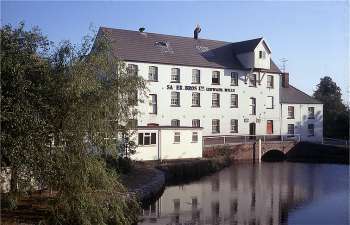 Production at the mill continued until 1984 after which the mill remained empty for 10 years before being advertised for sale for £150,000 and then sympathetically developed into luxury homes. 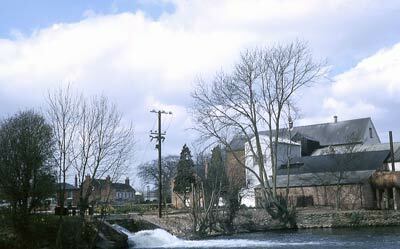 Lenwade Mill was built in the late 18th to early 19th century and it was the first producer of electricity in the area. People would come from miles around with their accumulators to have them built up. 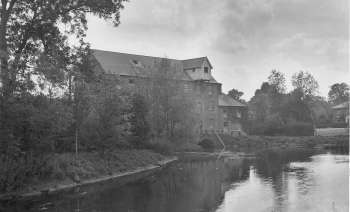 The original Lenwade Mill was burnt down in 1888. It cost £900 to rebuild and the Mill House cost £250. On May 7, 1890, an estimate for a complete automatic roller plant with wheat cleaning machinery to produce two sacks of flour an hour (about 280 pounds each), and a 44 inch Victor Turbine was £1520. 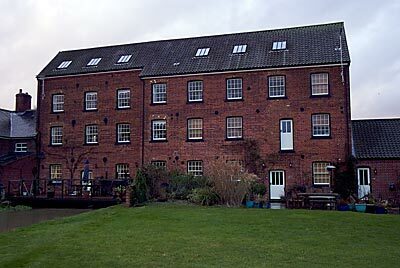 The Grade II listed mill is of traditional brick construction under a tiled roof which was replaced 20 to 25 years ago. It is also boarded and felted. Traditionally, mills were built quite close to the road but this one is some distance away and despite the fact that it has not been refurbished and some windows lack panes of glass, it is incredibly quiet inside. Standing on the first floor and looking over the river Wensum and to the countryside beyond, is quite incredible. Each floor is solid and warm - despite the fact it was a freezing cold day when we visited - and the building is welcoming. 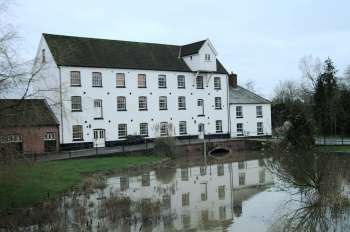 Obviously much money is needed to turn Lenwade Mill into either a restaurant with some accommodation or a large family house, but once complete, it will be the talking point of the county. The walls are 18 inches thick and each of the main floors is nearly 1500 square feet with an attic floor with partly restricted headroom. The main beams have been cleaned and the turbine, which is still in situ, came from America. To one end of the building is the engine room which is currently rented out. At the other end is the Mill House, a three bedroomed house with sitting room, dining room, kitchen and breakfast room. 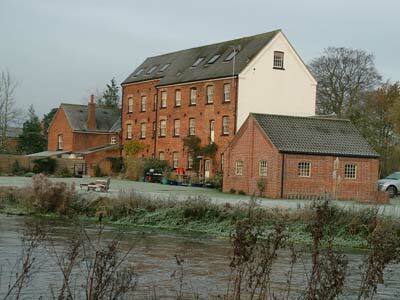 The mill is for sale through Bidwells at £150,000 while the Mill House is offered at £75,000. 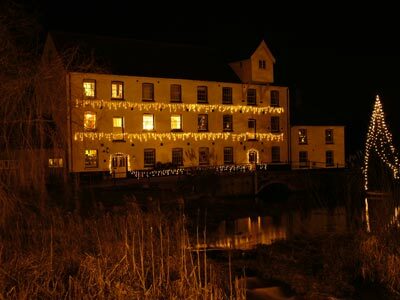 "The mill looks to be in reasonably good order and would make a superb restaurant," said Tim Hayward of Bidwells. 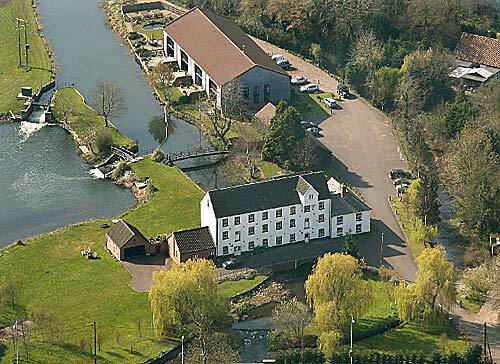 Lenwade Mill is within easy striking distance of Norwich and with the black swans on the river and the sun shining over the water, this is the picturesque setting for which Norfolk is famous. It is the sort of place where the Norwich School might have spent many happy hours with their paints, paletts and paper. 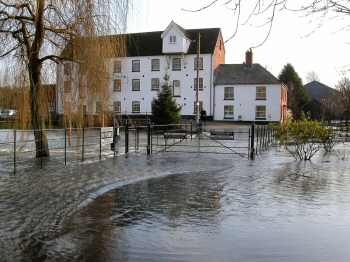 A scheme to turn a crumbling Wensum valley watermill into luxury homes has been approved by planners. The 19th century Lenwade Mill, above, on the A1067 between Taverham and Bawdeswell, is Grade II listed and was placed on Norfolk Historic Buildings at Risk Register. Now developers Alexander James and Partners plan to transform it over the next 18 months into upmarket homes worth more than £200,000. The site has been boarded up for the past 15 years and a variety of projects have been put forward to bring the buildings back into use. 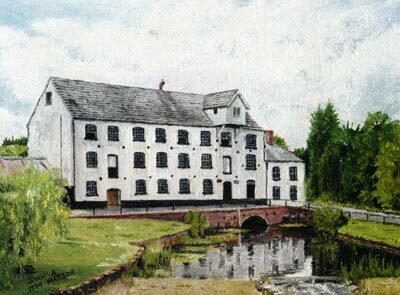 Now the mill itself will be converted into two high quality homes overlooking the mill stream, which is famous for its fishing. The well-known facade will be restored to its original state and the machinery which is still in working order will be left on the site. A granary on the site will be divided into four homes. 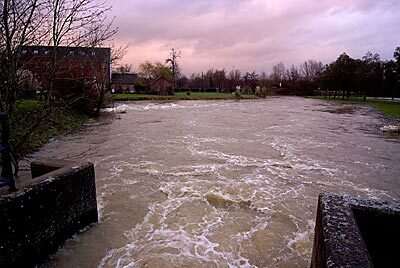 Lenwade Mill - An appraisal of flood defence options was undertaken at this mill where the existing manual sluice gates were in a poor condition and likely to fail. Options to improve river ecology were also assessed. 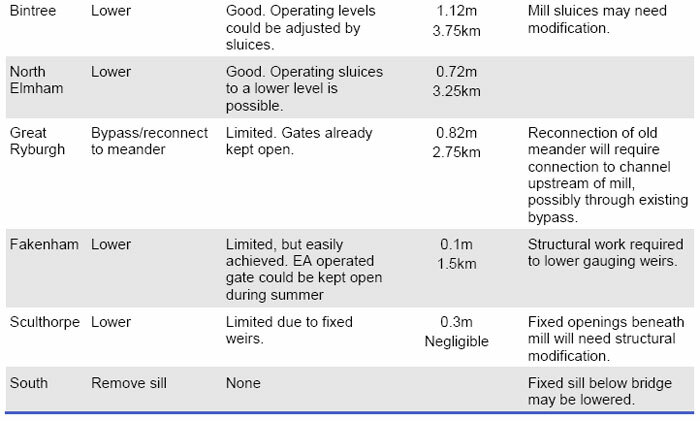 One of the options considered in this appraisal was the removal of the sluices and installing of 3 gravel weirs upstream. However, the result of this would be to restore the channel to create a steep section of watercourse that is quite out of character with the river, and the impoundment upstream of the existing mill structures would be retained. 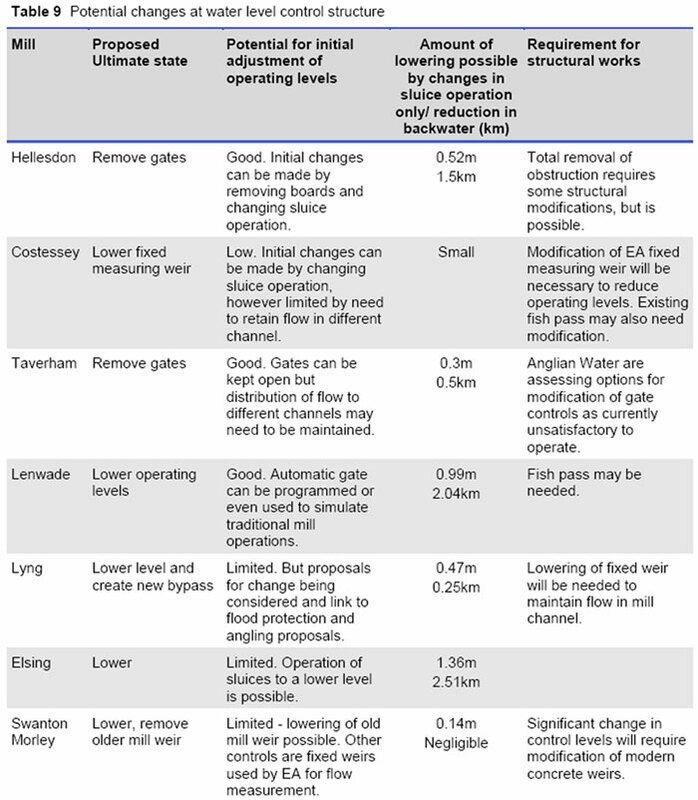 As a consequence, this option was not favoured and, although the sluices were automated in 2004, it was engineered so that water levels could be managed in line with future recommendations on water level management. An report on environmental options for this site was prepared on behalf of the River Restoration Centre by Holmes (2002).